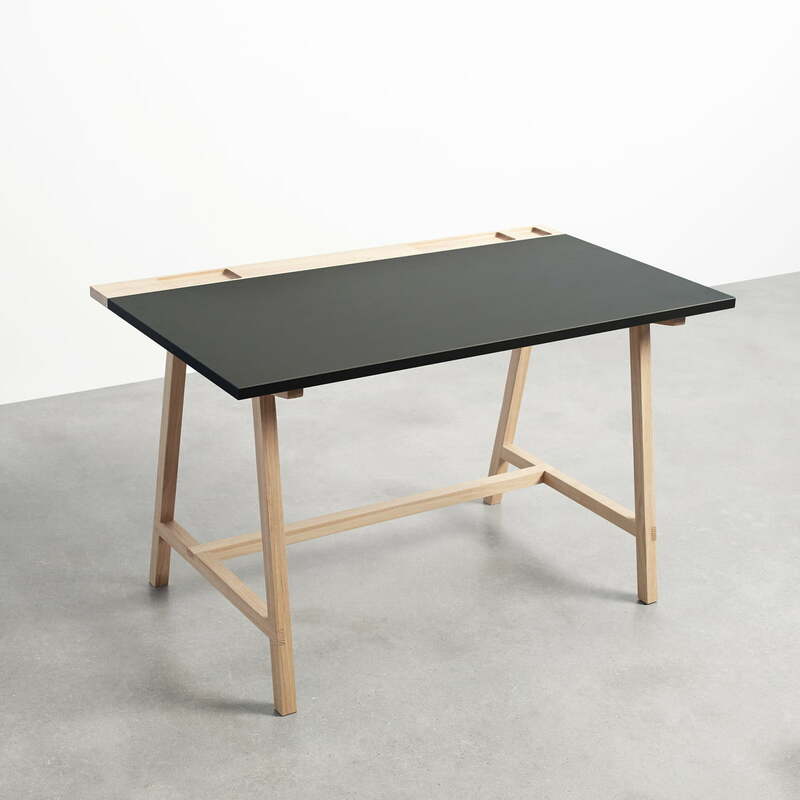 The D1 Desk by Andersen Furniture was designed by byKATO and is an absolutely simple work table with practical details. The table wins over with timeless tranquillity, which was obviously influenced by Scandinavian design. The frame is made from solid oak and requires only minimal care. The large table top is made from durable linoleum sheeting, coming in various colours. The trays at the back of the plate are especially handy. In different-sized notches keep paper clips, pencils, ruler, scissors and paper for you at hand. The desk is also available with table tops in other colours upon request. 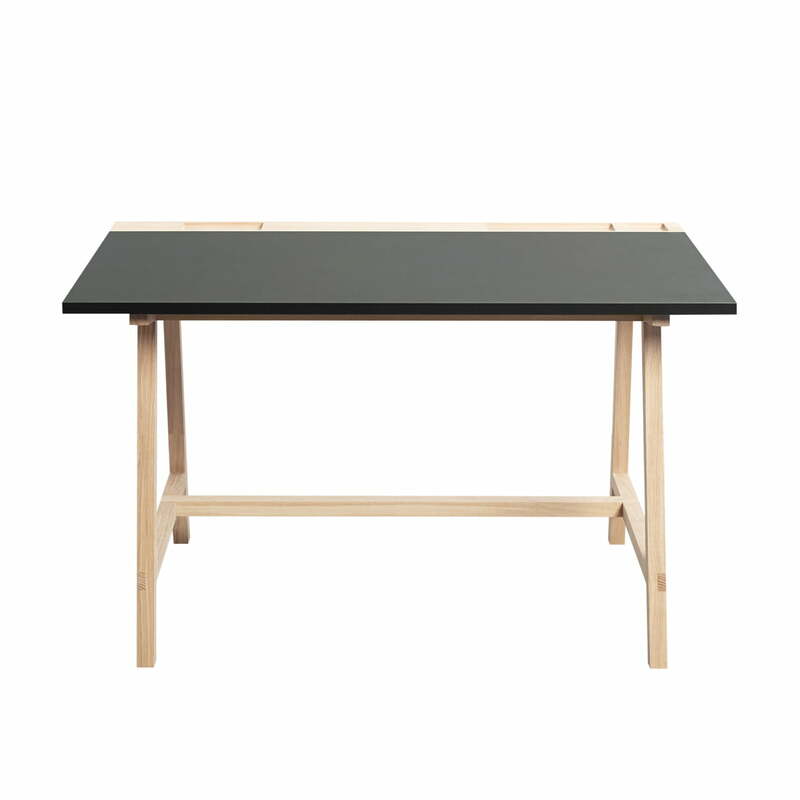 Individual image of the Desk D1 by the Danish label Andersen Furniture in anthracite. 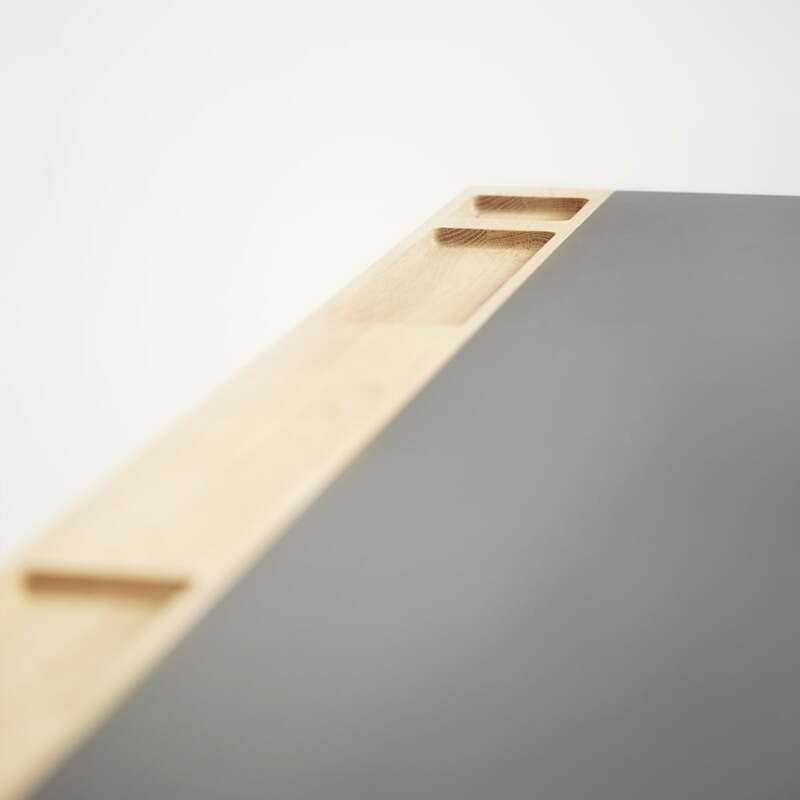 The D1 desk by Andersen Furniture was designed by the designer duo byKATO. The Desk D1 from byKATO for the manufacturer Andersen Furniture wins over with timeless tranquillity, which was obviously influenced by Scandinavian design. 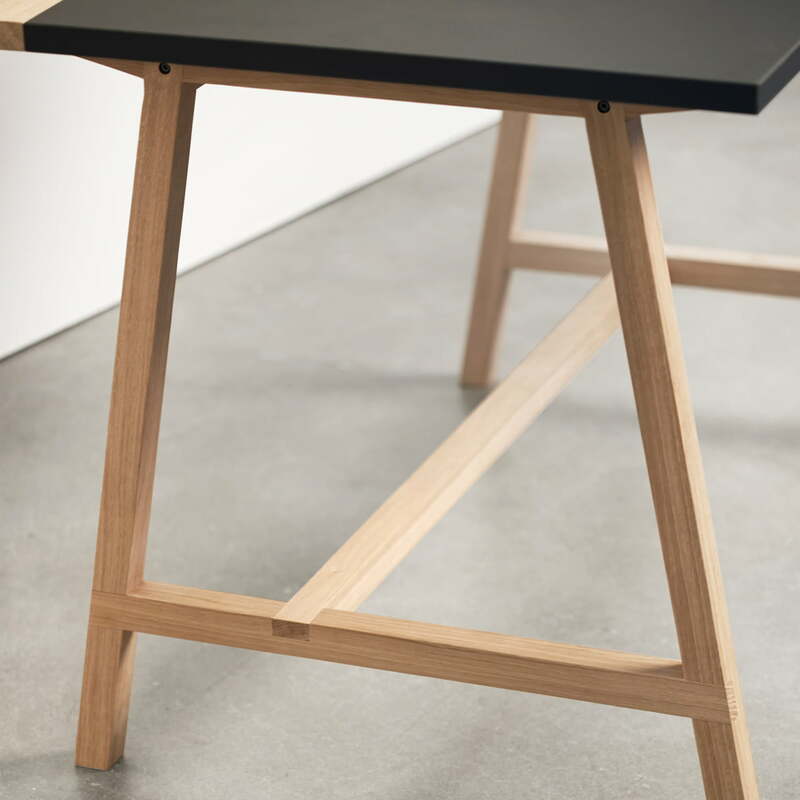 The frame of the desk D1 from Andersen Furniture is made of solid oak and requires only minimal care. The large table top is made from durable linoleum sheeting. The trays at the back of the plate are especially handy. In different-sized notches keep paper clips, pencils, ruler, scissors and paper for you at hand.